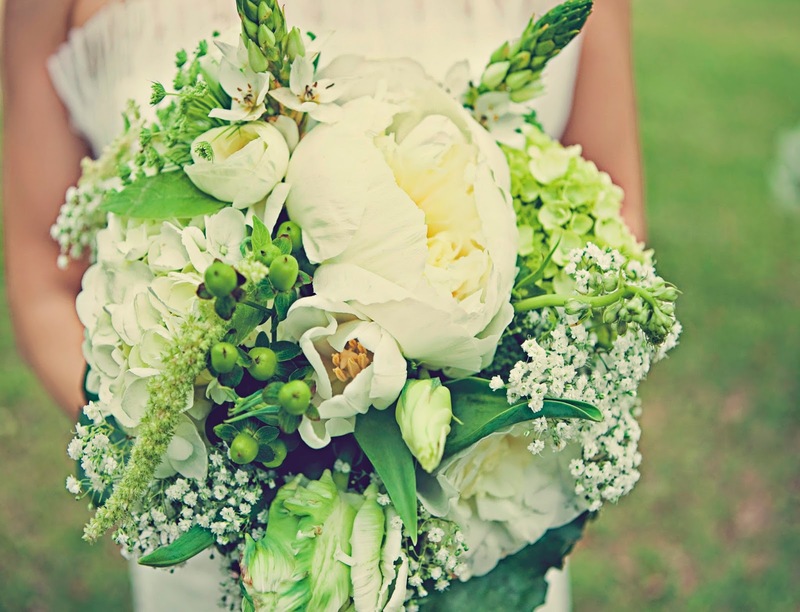 when I got married I really did not care about the flowers except for the fact that they incorporate white and green and not be incredibly expensive- I was sticking to my budget, for goodness sake! :) came across a photo of my bouquet when clearing up space on my computer tonight and MAN, I still love it so much. 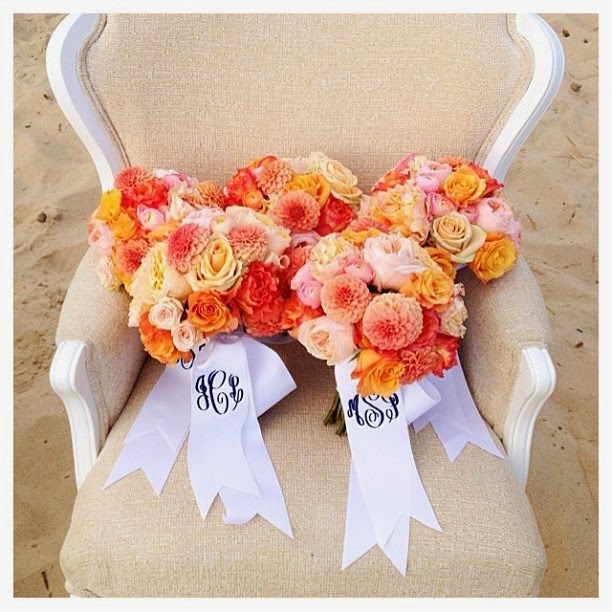 the only thing that could've made it better would've been a monogrammed bouquet ribbon. too bad that idea didn't come until a few years later. ha! traditional monogram, single letter, monogram & date, etc.